Voting for USA Cycling’s Cyclocross Sport Committee is open through August 15. USAC license holders are eligible to vote for candidates depending on which type of license they hold. Cyclocross Magazine reached out to each of the candidates and offered them the opportunity to fill out a candidate questionnaire to give our readers a better understanding of what they want to do on the Cyclocross Committee. Today we will be providing responses from the At Large candidates, whom a majority of our readership will be eligible to vote for. We will have responses from the three candidates, posted throughout the day in alphabetical order. Up third is Adam Myerson of Boston, Massachusetts. Cyclocross Magazine: How long have you been participating in cyclocross? 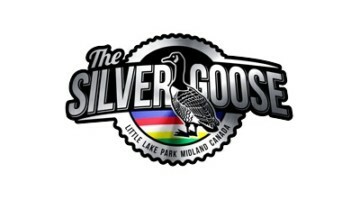 CXM: Why are you running for the ‘Cyclocross Sport Committee? AM: I have a long history of involvement with the sport from all sides and a compulsion to use that experience to be of service to my community. CXM: What makes you a strong candidate for this position? 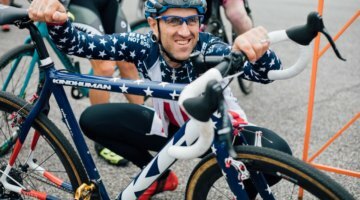 AM: I’ve been racing ’cross since I was 17, and I organized my first race when I was 19, and began coaching when I was 29. From there I’ve reached the highest levels of the sport on both sides of the fence, and I have seen what works and what doesn’t over the past 30 years. 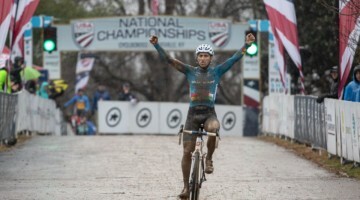 I spent four years on the UCI Cyclocross Commission and was the first American to be given that role. I’m ready now to get involved again nationally. CXM: We have seen your bio, but what’s your vision for the sport? AM: I have always been equally focused on developing the grassroots side of the sport as well as the professional side and have attempted to do that privately through the races I organize and coaching athletes directly. We’ve come a long way since I first got involved, but some of the same issues still remain and the work is incomplete. My priorities are lowering the barriers of entry into the sport through clinics and coaching, encouraging and supporting small, local races that serve their immediate community and continuing to develop national and international level events so that riders who do choose to move beyond their local scenes have a place to do so before they need to cross an ocean to get to the next level. As part of that, it’s crucial to make sure we are promoting and providing parity and equality for women, both because it’s the right thing to do, but also because it’s where the sport has the most potential for growth. 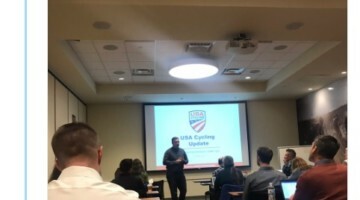 CXM: What are the most important issues USA Cycling needs to address right now? 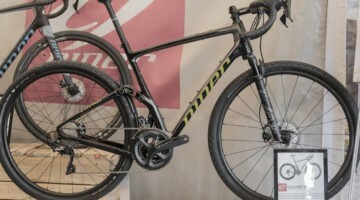 AM: Generally speaking, USA Cycling needs to stay focused on making sure its regular customers, those amateurs who pay entry fees every weekend, are having a good experience with minimal restrictions and consistent customer service and event quality. This involves consistent officiating and rules enforcement from race to race and region to region. Additionally, USAC needs to continue to support and strengthen the professional racing calendar, which includes national level events somewhere in the country every weekend. CXM: What changes would you like to help make as a member of the Cyclocross Committee? AM: I think the area I can be most helpful is facilitating communication between all interested parties, but also providing a significant pool of historical information to help prevent us from repeating mistakes or revisiting approaches that have been shown not to work. It often feels that every day is Groundhog Day for me when it comes to conversations about rules and the direction of the sport. I want to keep that from being the case. CXM: Limited resources force tough choices between elite talent development and grassroots growth. What are your opinions on how USAC currently splits resources between these two priorities? AM: I do not agree that there needs to be a split between these two things or that they draw from each other’s resources. We are more than capable of tackling these things together, and ‘cross is uniquely positioned to do that. 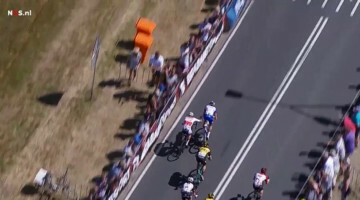 You can’t easily run a Cat 4 race at UCI road event, but you can do that with ’cross. They are complimentary, not contradictory. CXM: What are the biggest success and failures of the current ’Cross Committee? AM: I don’t think the membership is aware enough of the existence of the committee in the first place. It’s so very easy for people to place blame on an amorphous “USAC” for the problems they perceive with the sport. I want to give people names, make the rulemaking process personal, get membership to realize they do actually have a voice and that committee members are the people they can talk to if they want to understand a problem better or advocate for change. I would submit that one failure has been inconsistent officiating at big events for amateur races and the committee’s delay in addressing that issue. At the same time, the current committee has overseen a considerable amount of growth in the sport, at a time when other disciplines have been shrinking. There is a lot of expertise on the committee currently, and I am looking forward to working with them. Click here for more information about voting and to see all the candidates.